It seems most airports are designed so that the randomly scattered power outlets are located as far from the gate seats as possible. 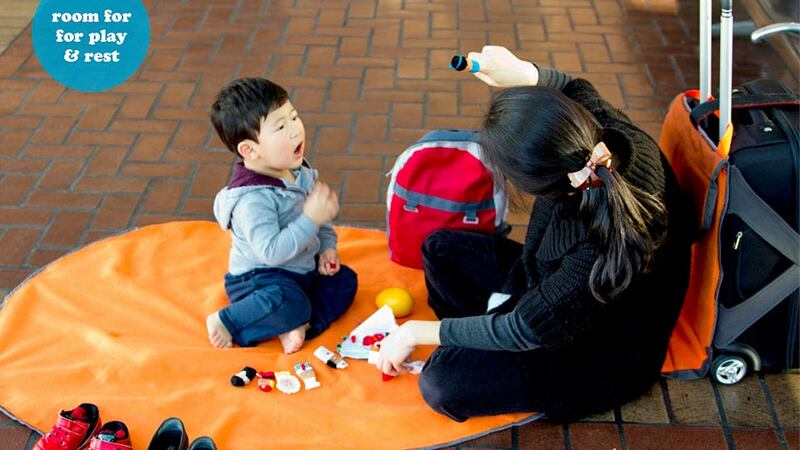 So while California College of Arts student Daye Kim actually designed the Whaletale suitcase mat for parents travelling with kids, it's also perfect for overcrowded airports. When folded up, the Whaletale straps to the underside of a rolling suitcase so you still have access to the bag's contents through the lid. But when opened and spread out on the ground, the blanket provides a large and clean space for feeding or changing infants, for kids to play on, or for embargo-racing bloggers to work. And since it always remains tethered to a suitcase, the Whaletale even provides a place to sit and lean up against. 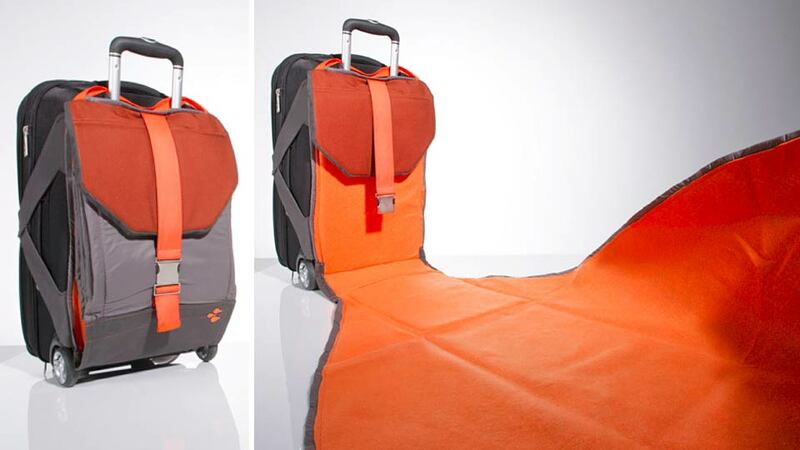 Attention luggage makers of the world, one of you needs to get in touch with this talented designer.